What is Project-Based Learning? What are the Advantages & Disadvantages of PBL Approach? Now as we are living in the age of rapid technological development and scientific advancement combined with the growing global competition, we enjoy increasing career opportunities as well. However, there are also great challenges for the modern workforce. One of them is a huge strategic hole we have in our system of education. To motivate and engage the future labor force, educators need to alter or even re-invent their teaching methods. According to the official studies of the Association of American Colleges and Universities, 93% of employers value in their workers’ critical thinking, ability to solve complex problems and communication skills more than the grades behind qualification certificate. Project-based learning (PBL) is a perfect solution to the problem, which allows transforming competence and proficiency into the 4Cs – creativity, critical thinking, collaboration, and communication- which lie in the foundation of the modern learning framework. 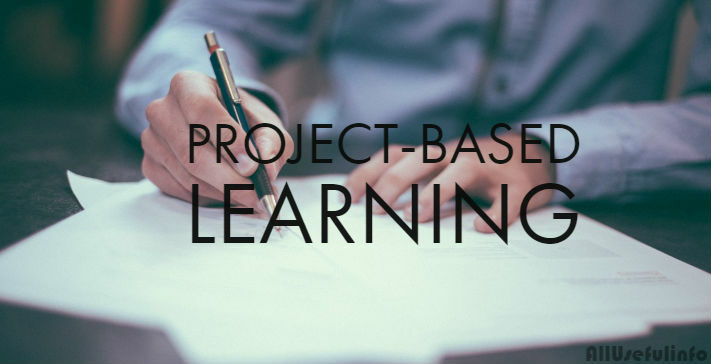 Project-based learning is actually much more than simply setting a project at the end of the class or whole course, it, in fact, connects academic situation and teaching to the real-world problems. Applying knowledge for problem-solving allows the learners to raise their thinking to a new level and develop collaboration and leadership skills. The students are offered opportunities to research the themes they are interested in and craft the data they receive into some interesting and useful outcome. The PBL approach adds value to the studies and the process of education, providing the learners with an active role in all these. They acquire and practice metacognition skills. They retain content over memorization due to the contextual nature of the method. The learners develop cooperation as well as “people skills”. PBL makes the best of diagnostic, formative and substantive assessments embedded into the project work. Time Management. Delivering the project on time requires proper time managing skills. So students should first estimate the time required for the fulfillment of the task and then divide it into smaller, more manageable lumps. Organizational Skills. These skills have already become a must at present and are developed during the project work as well. It’s important to organize the project mentally as well as physically. Collaboration Skills. Group research and projects fulfillment is a great experience for students, which allows them to see the importance of teamwork firsthand. This is a precious lesson for their future office work or even running business. Problem-Solving Skills. Project-based learning stimulates the students to think out of the box and look for the new unusual ways of problem solving. Their role should be active and it’s impossible to idle by. 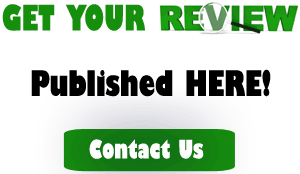 Even if seeking for the help of an essay writing service, one should take into consideration that he should provide his point of view on the problem under study. Self-Direction. It’s an amazing instrument driving any task or even business. During their project work the learners not only have to manage their time but also to decide where to move further at each stage of the research. Practicing the skill in every task accomplished, the individuals learn to find the best possible way of action for each stage of the project and for its overall completion. Ability to Find Information. Any research presupposes that a student should look for the information himself, not from a tutor or a lecturer. The skill to find the necessary data is an extremely valuable asset for life, especially for its business aspect. Lifelong Learning Ability. Due to the fact that PBL is based on the learners’ interests and their active part in it, the approach develops an interest and a habit of lifelong education. This desire and ability are essential for every individual nowadays to be able to adapt to a constantly changing environment. The modern project-based learning programs imply future-focused methods and consequently the students graduate much more ready for work than their testing-focused fellows. Be Water. Project-based learning teaches the students to be flexible, so they could adapt to the ever-changing social needs. For survival it’s crucial not to be strong or most intelligent, it’s critical to be adaptable and fluid. PBL trains the learners to overcome the project challenges without predetermined expectations. Burn to Emerge. Project-based approach celebrates failure, as it allows the learners togrow, making them look for the new and new possible problem solutions. That’s what makes the students take risks and it’s essential not only for their future working or business activity but for their life. Such people then become the ones leading the way. Make Melodies. PBL supporting a process-and-systems approach makes the students invent solutions, developing their design and creative thinking along with critical ingenuity. Nowadays to survive we need to adopt innovative thinking and propose unique solutions. Tie Lions Down. The power is in unity and the new educational approach stimulates the learners to negotiate, cooperate and unite efforts for better results. Unity is a power, discord is not, and that’s why it’s essential nowadays to develop into an effective communicator able to unite and motivate the team. Stare Down The Future. The future world of business and jobs will definitely look quite the other way than it’s now, and PBL prepares the students for the unpredictable and is proven to be a transformational approach through project-based simulation. With such a great benefits and advantages of project-based learning, it also has some disadvantages that cannot be ignored while choosing this approach of education for students. It’s Time Consuming. An effective project-based learning design requires a large amount of time as it may take time to collect materials and information about the projects. Lack of Interest. Sometimes it may happen that students feel lack of interest in their project subject which might distract their mind from the project. Needs a Dedicated & Hardworking Staff. To be honest, not teachers can be hardworking and completely dedicated for their students. But, the PBL approach really needs hardworking staff dedicated to the projects of their students. Uncomfortable for Differently Abled Students. The project based learning approach might be uncomfortable for different abled students. They sometimes may not feel encouraged to finish their projects in the given period of time. Project-based learning is although a great way of teaching because it makes students dependable and empowers the creativity, critical thinking, collaboration, and communication inside the students.